FitDiver® is more than a fitness program for scuba divers; it is a way of life. FitDiver® Workouts are based on sound research including a health profile of the diving community and the unique physiological demands of the underwater environment. Scuba diving is often considered moderate-intensity activity. Yet, there are differences in the physical requirements for diving depending on the type of diving and the conditions. Diving may be recreational, technical, industrial or military. Conditions vary greatly in water temperature, visibility, currents and surf. Further, other stresses on human physiology must be considered in an underwater environment. Along with the proper gear, divers must also prepare with proper training, including physical fitness, for safety and performance. The ultimate physical fitness recommendation for scuba divers is to be in excellent health; free from disease, medical conditions and injury. As we go through life, we often have difficulty maintaining this clean slate. It is important for divers to know how to become and remain physically fit, prevent illness and injury, and rehabilitate and manage conditions such as high blood pressure, diabetes, heart problems, and obesity. It is equally important to be physically fit for the type of diving performed, the logistics of the diving destination and conditions of the day. Be among the first to know about the latest scuba workout, register for ScubaFit® events, get timely dive fitness press releases and meet our specialty instructors. Enjoy our past issues. Click here to meet our friends in the diving community. 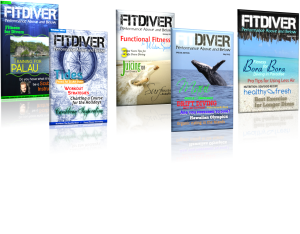 California Diver Magazine is dedicated to scuba diving, freediving,and other dive activities both above and below the water. While our focus is on California diving, divers from everywhere will find our articles on dive training, gear reviews, health & fitness, dive safety, and upcoming dive events valuable. We have hundreds of articles written exclusively for our website from accomplished divers, photographers, and writers and add new content daily. If you are a dive retailer, manufacturer, travel agency, or provide other goods or services to the dive industry, contact us and let us help reach thousands of active divers with affordable display advertising. We have great rates, we’re a top-quality website visited by thousands of divers, and we’re dedicated to delivering results. DiverWire.com is a news site dedicated to recreational scuba diving. DiverWire.com features content written by some of the dive industry’s boldest and brightest names, see our Contributing Authors page. In addition, breaking news stories and releases are also incorporated to the site. DiverWire.com also partners with a number of scuba diving sites to cover the entire spectrum of scuba-related news and information. 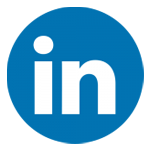 To stay up to date and receive all the news as it is posted to the site, sign up for the DiverWire Facebook fan page or follow DiverWire on Twitter (@diverwire). DiverWire also sends out regular email news digests. Sign-Up for this free service. DiveNewswire is the premier press release distribution system servicing the recreational scuba diving, adventure travel, resort and water sports industry. DiveNewswire’s primary mission is the efficiently deliver TRADE-oriented news to subscribers working in the business on a daily basis. Examiner.com is fully powered by Examiners, thousands of writers who are self-motivated independent contributors. Each Examiner is able to express through words and photos a deep expertise in a topic. Their knowledge is enhanced by a viewpoint unique to their experiences and oftentimes, their location. Scuba diver life is a leading global digital media company and publication that informs, inspires and entertains scuba divers and ocean enthusiasts. Scuba diver life is redefining the diving industry by capturing and shaping digital media content with a fresh voice, new formats and cutting-edge videos to a uniquely dedicated audience of over 1 million. Scuba Sport Magazine is a bi-monthly scuba diving magazine, as well as a diving/underwater lifestyle magazine. Its focus is the diving community as well as provides special attention to top side activities to engage non-divers while their significant others are out on the dive boat. Many active divers only have the opportunity to pursue their passion three or four times a year. Or, they plan scuba diving excursions while on vacation with the family. One of the most common questions that divers receive when pitching a travel idea to their spouses/significant others has always been “What am I (the kids) going to do while you’re out diving?”. Scuba Sport understands this dilemma. Which is why we include amenities and adventures to keep the entire family engaged while you’re chasing barracudas, sharks and sea turtles. We are the only scuba diving magazine that offers this focus. X-Ray International Dive Magazine is the world’s first and only global dive publication. Subscription is free. Published 8 times a year.